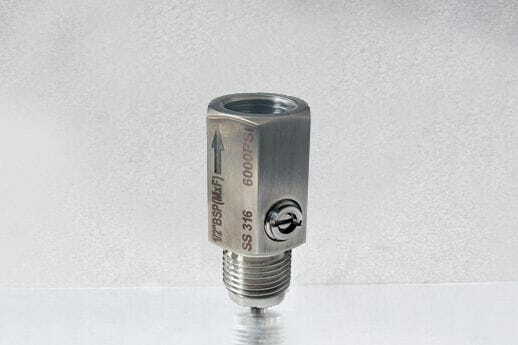 Also know as pressure snubbers, these adjustable pulsation dampeners are recommended to reduce the impact of sudden pressure peaks or frequent pulsations on the instrument, helping to extend its life. Stainless steel AISI 316 made. Maximum working pressure 400 bar. Maximum working temperature 120ºC. Connections available ½ "and ¼" M-F.